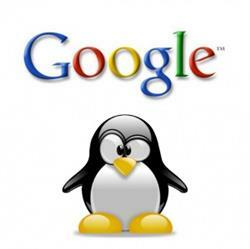 If you haven’t heard by now Google rolled out a new Penguin update on May 22nd, 2013, which they are calling 2.0. Search Engine Land and other popular SEO sites are referring to it as Penguin 4 because it is the 4th update/refresh since it was originally introduced. I used to follow SEO much more a few years ago than I do now. I do believe it is important to understand and educate yourself with what Google is up to. I just don’t dwell on it so much. Obviously any time a major update happens there will be winners and losers. We all hope we are on the winning side, but that doesn’t always happen. 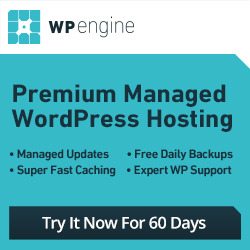 There are also people that say that their website and traffic was negatively impacted with no just cause, e.g. they didn’t do anything wrong or against the rules. This may or may not be true. They could just be venting and blowing off steam because they got caught, but they could have been unfairly penalized too. We just don’t know without thoroughly analyzing the website in question. As much as Google would like us to think that they are perfect I do believe that it is certainly possible to be unfairly affected by an update like Penguin. After all, an algorithm is only as good as the person that programmed or created it. Don’t get me wrong I am all for reducing the amount of spam and other junk in Google as long as an innocent website doesn’t mistakenly get caught in the process. I just hope that they don’t say well as long as we caught most of the ones we were after we don’t care if a few little sites were unfairly affected. I have been reading a few articles and forum threads surrounding the Penguin 2.0 update the past couple of days. 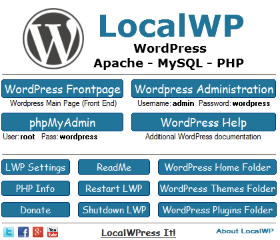 Since it was rolled out mid-week it could be difficult to tell if your website was affected or to what extent yet. Generally weekend traffic tends to drop slightly compared to the first part, and you may need to wait a week or two in order to get a more accurate indication. This assuming that Google doesn’t make adjustments to it in the meantime. I noticed that Matt Cutts vaguely replied to a few questions with a response that would seem to suggest we can expect more changes in the coming weeks and into summer. He wasn’t specific, but merely implied that there is more to come. Whether he was referring to more Penguin updates and tweaks or something else he wasn’t clear, and he kind of left everyone hanging. So we will just have to wait and see what they have in store for everyone in the near future. At any rate if you saw a traffic change in one direction or the other you might keep an eye on things the next week or so, and do some additional research about the recent Penguin update. Various SEO discussion sites seem to have the expected mixed feelings. Some are happy and others are ticked off. Although not as much as I would have thought considering everyone was touting this as having a major impact, but again perhaps there is much more to come. 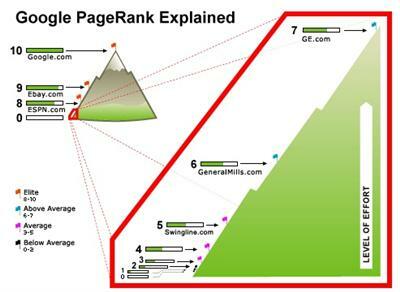 These Google updates will affect at page level while previous update target homepage level only. It is the time that every marketers, and business owners focus more on creating a really high value content that touch people live so that they want to share it throughout the web, however, great content is not enough without effective outreach strategies such as guest blogging, email marketing, social media and forum engagement. I am neither among the losers nor the winners. 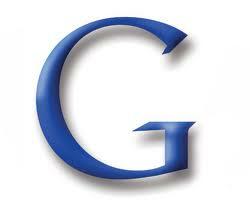 But to tell you the truth in previous updates,I have made up several observations in terms of google algorithm change. Firstly, I used to think that Google is going to harm any of the website with poor content meaning thereby, ‘CONTENT IS KING’. But honestly, it has been proved wrong over last few years in many cases. We have seen many good bloggers losing ground while seen copy paste type websites maintaining the same position such as those which are selling amazon products. There are millions of example which I can quote here but that will be wrong. If I am lucky this time, it doesnt mean that I will escape another or many other updates to follow penguin 2.0. Now this state of uncertainty has lowered the morale of many good writers. Doing good on all my websites, avoiding all those parameters which google dislikes but still waiting for your turn gives you a miserable feeling all the times. Winners or losers, I’m not sure which side I am. But so far, I think my site is pretty much “unaffected” I guess. Like you said, maybe it’s still too soon to tell. Let’s see what will happen in the next few weeks fingers crossed. I have read a few reviews and it seems to be fairly mixed. I don’t know what Google’s next move will be. They like to leave us guessing. I know there are probably a few people out there that were affected and are hoping they don’t lose anymore traffic than they already have. I noticed some fluctuations, and will continue watching. Definitely keep your fingers crossed. I had a BIG gripe with the update before this Ray because I was caught in the crossfires and you’ve been to my blog and I never do anything dishonest there. Have I made stupid mistakes? Probably which is why I keep saying I’m a work in progress. I do believe some innocent people get caught and Google could care less. Like you said, nothing is perfect and I’m sure they’re sorry about that but I really think they don’t really care one way or the other. That’s why I rely mostly on referral traffic. It’s much better in my opinion anyway. Thanks for sharing this and I knew that the spammy sites were the ones they were gunning for. We both know that’s not us! I am sure that some people lost Google rankings after one of these updates that maybe shouldn’t have, and I agree I doubt Google cares about some of them. Especially the smaller sites. I understand they want to reduce spam and penalize sites that are gaming the system, but if it happens to affect a legit site big or small in the process I don’t think that is right either. New people starting out are probably going to have a heck of a time getting anywhere if they don’t read up on SEO. There is no way most people starting out are going to know about all these updates. A lot of the SEO tips and stuff you read online are older topics, which may have been OK or worked a few years ago but some of it should be avoided now. New folks are not going to know the difference. 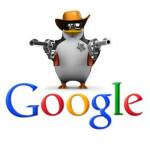 Google Penguin has impacted a lot of business in the worst manner, making them feel vulnerable. Whether we accept it or not, we must acknowledge that the Google penguin is here to stay and we must work in accordance with it. Thanks for the share.